Ashoori Law handles all types of employment-based immigration. We represent both U.S. employers and foreign workers. The EB-5 visa allows someone to qualify for a green card by making an investment in a U.S. business. The E2 visa is a non-immigrant visa that allows investors to live and work in the United States. You may qualify for a green card as the spouse or relative of a U.S. citizen or permanent resident. Naturalization is the process of becoming a U.S. citizen. We can prepare your N-400 application and help you with your interview. A reentry permit is similar to a passport and helps protect your status as a U.S. permanent resident. He replies attentively and from the messages he sends, it shows how accommodating and concern he really is about any issues you have or information you need. Definitely worth every penny! Thanks Michael for your help. It was pleasure working with Michael, i strongly recommend Michael to anyone who is looking to apply for re entry permits. 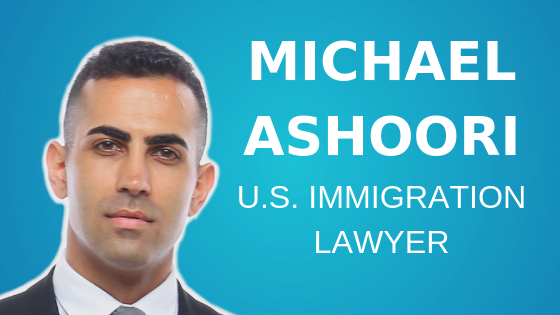 Ashoori Law is a U.S. immigration law firm focused on employment-based, family-based, business, and investment immigration. Our attorneys have extensive legal experience and we believe in delivering exceptional customer service to our clients worldwide. We have a deep understanding of complex U.S. immigration laws and regulations. Our law firm is dedicated to U.S. immigration law. We are committed to using our skill and experience to our clients’ advantage. Our attorneys recognize the importance and complexity of the immigration process. We understand that each case requires a customized approach based on the specific circumstances at hand.